This is number 2 of a series of 50 custom-designed, 3D-printed Spherical Dendrite models. Each one of the 50 is unique, made specially for you, and will never be printed again. 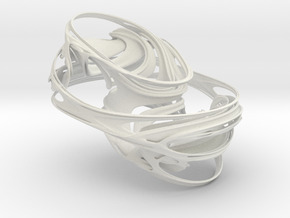 Creating this particular model required hours of time on a custom-built high-performance workstation using software strictly of my own design. 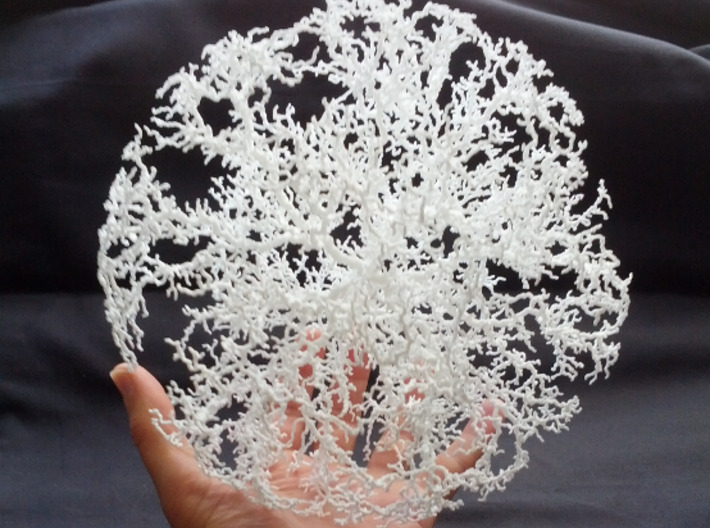 When you purchase this work, Shapeways will build it from high-strength nylon powder on an industrial 3D printer using a process called "Selective Laser Sintering" and will ship it directly to you. In addition, I will send you a certificate of authenticity and give you the option of receiving a digital copy of the data that was used to make the print. 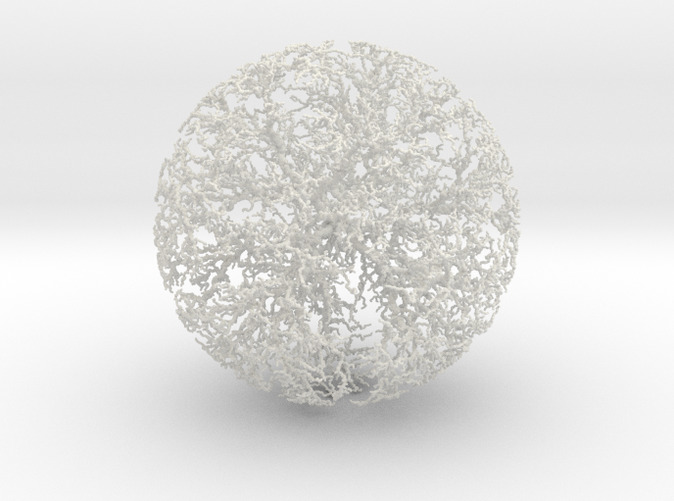 I will also promptly remove the model from being offered for sale on the Shapeways web site. It will remain visible to future visitors as documentation of the work. 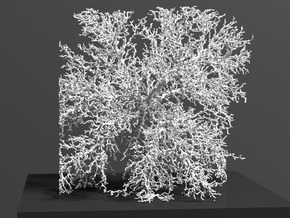 This model is from a simulation diffusion-limited aggregation constrained to a sphere. In that process, virtual particles diffuse via Brownian motion in a 3D space until they contact any part of the existing structure, to which they then stick. 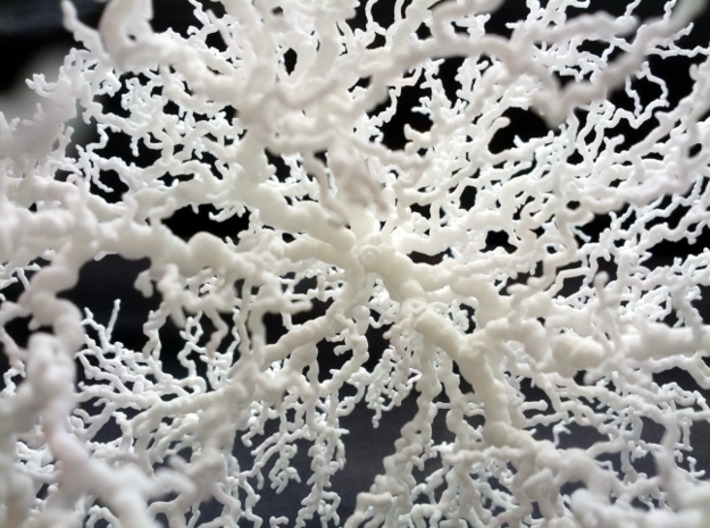 This structure is composed of hundreds of thousands of particles "stuck" together, surfaced, and printed. The tips are 1.0mm in diameter and the entire model is nearly 8" in diameter.